I found the time to make a card after DD went to bed – how exciting! This one is for the Try a New Technique Challenge this week, which is a Two Way Open Card. Beth posted some awesome directions, so be sure to check it out. I was in a mellow mood when I stamped this – it was a really awful weather day here, complete with torrential thunderstorms and tornadoes sighted in the area. Somehow, a bright card just seemed wrong tonight, kwim? So I went for an aged, softer look. I shrunk my card 1/4″ on all the measurements, so it would fit into the envelopes I have here at home. I sponged everything to death on this card using Creamy Caramel ink. I stamped on the dp (Fancy Pants) with the French Script BG and Close to Cocoa ink. My image is from the Provencal set. The image is larger than the panel I had cut, so I inked it up and laid the cs down on the stamp – I like the way it fills up the whole piece of Naturals Ivory cs. I distressed the edges with my fingernail (yes, I was too lazy to get up and grab my distresser tool). On the inner panel I added two primas with a large brad. 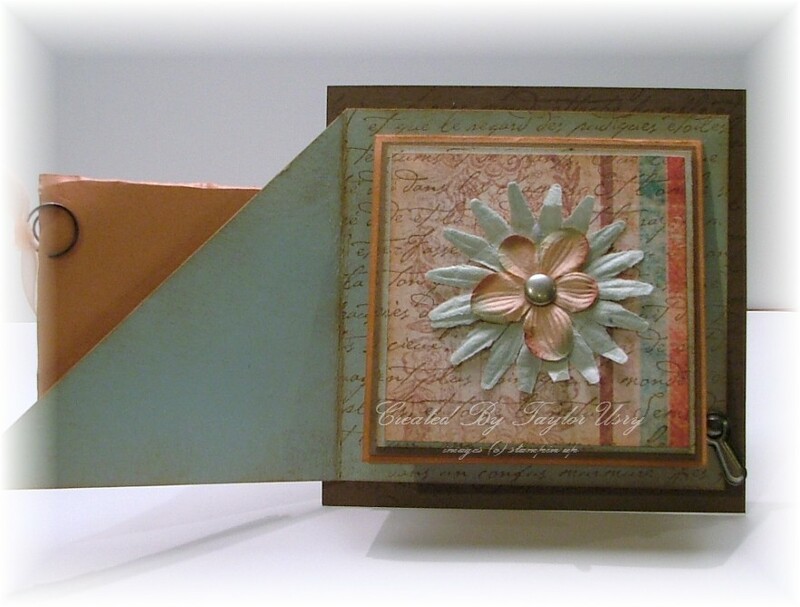 I love the element of surpsie they add – you can’t see them at all when the card is closed! I added a piece of hodgepodge hardware in the corner to keep the card closed, and considered it finished. I do need to spend some time with DH!! What a cool card!! 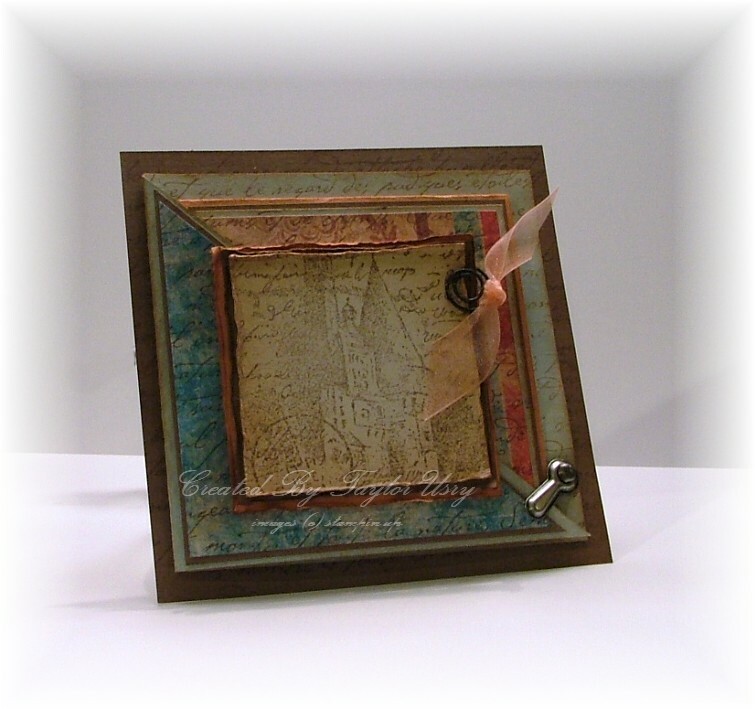 I love the layout, colors, and all of your distressing!! Glad you were safe from the storms!